Three dead Common Buzzards have been found dumped in a field at Ring near Clonakilty, Co Cork. The birds, which were found in January, were picked up by National Parks and Wildlife Service (NPWS) staff and taken for post mortem. 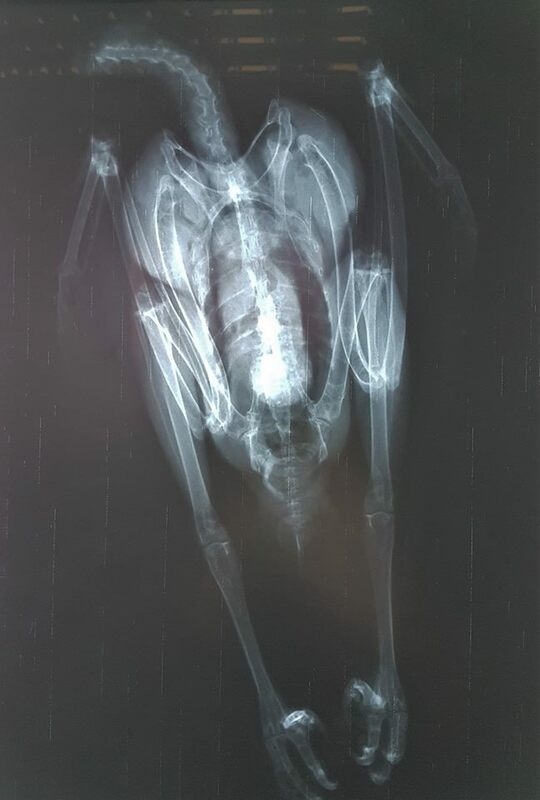 X-ray results showed no sign of lead shot, but two of the birds were missing their heads and one was missing a leg. Recently received toxicology results showed high levels of two different poisons in the birds' livers and stomachs. The toxins were Carbofuran (a pesticide) and two types of rodenticide. NPWS is investigating this suspected crime and is appealing for any information. If anyone has seen anything suspicious, NPWS urges them to report it to the Gardai or local Conservation Ranger. X-ray showing one of the decapitated Common Buzzards (National Parks and Wildlife Service). The local Conservation Ranger commented: "Buzzards are only relatively recent arrivals to this part of Ireland, with the first birds breeding around Clonakilty within the last 10 years. This area is also close to the western edge of their range in Ireland so it's particularly sad to lose these three." In the past, several species of raptor were extirpated from Ireland, including White-tailed and Golden Eagles, both of which have been recently reintroduced across the country. In Ireland, poisoning and other types of suspicious mortality are monitored under the Recording and Addressing Persecution and Threats to Our Raptors (RAPTOR) protocol, which is an initiative of the NPWS in partnership with the Department of Agriculture's Regional Veterinary Labs. 4. (1) A person shall not place, cause to be placed or permit to be placed or have with him or her any poisoned or anaesthetic bait that is animal or contains animal substance or other animal derivative in any place to capture, kill, poison, stupefy, anaesthetise, harm or injure or where it is likely to capture, kill, poison, stupefy, anaesthetise, harm or injure: (i) any species referred to in Article 1 of the Birds Directive, or (ii) any species of wild fauna listed in Annexes IV(a) and V(a) to the Habitats Directive, except in accordance with a licence. 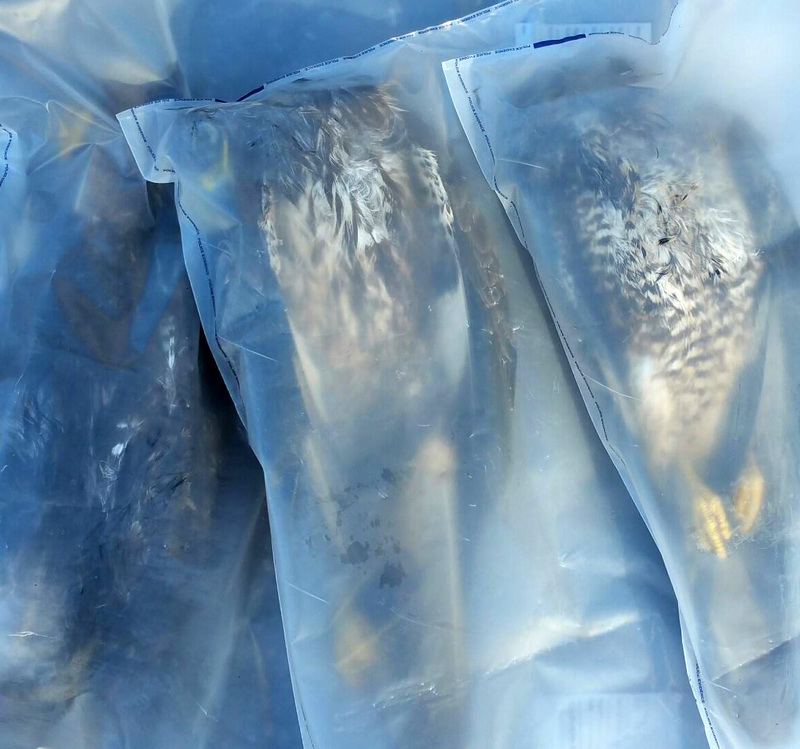 The three poisoned Common Buzzards in evidence bags (National Parks and Wildlife Service).